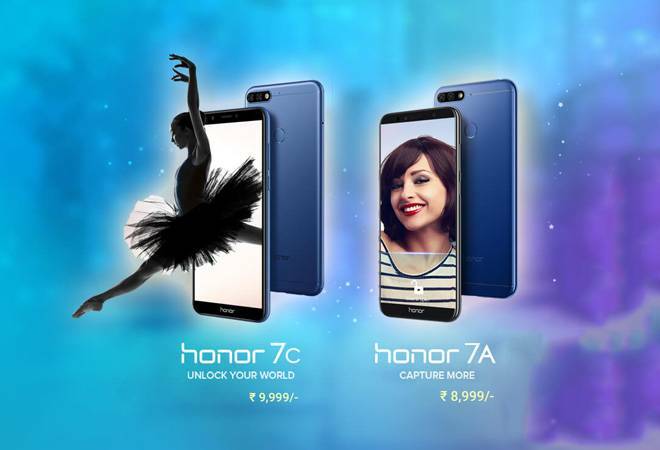 Honor has expanded its mid-range product portfolio with the launch of Honor 8C in India. The phone is a successor to Honor 7C that was launched earlier this year and comes with upgraded design and hardware. Notably, it was launched in China last month. Some of the key highlights of the device are its impressive 4,000mAh battery capacity and Snapdragon 632 SoC, making it the first phone to be powered by the same. 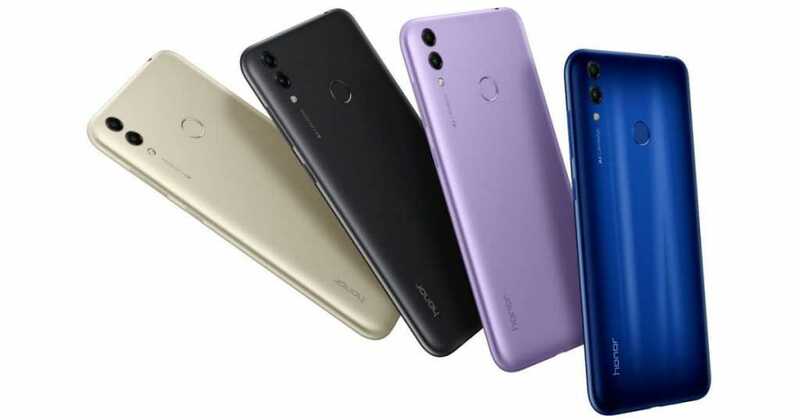 In addition, the Honor 8C features Face Unlock that uses the frontal camera sensor along with an artificial intelligence (AI) algorithm to recognize facial features of users. 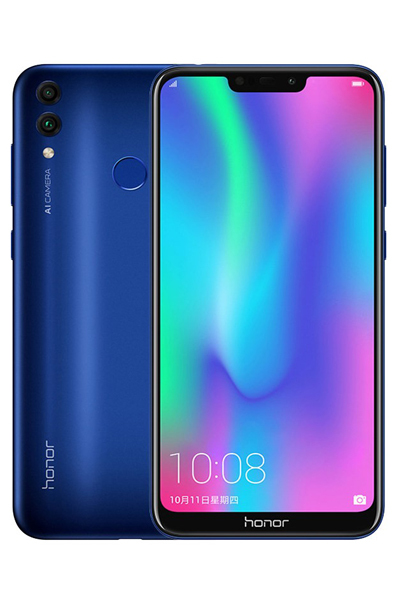 The Honor 8C base variant i.e. 4GB RAM + 32GB onboard storage is priced in India at Rs. 11,999 and the top variant i.e. 4GB RAM + 64GB onboard storage comes with a price tag of Rs. 12,999. It will go on sale exclusively via Amazon.in and HiHonor Store starting December 10. As part of the launch offers, customers can avail Jio benefits worth Rs. 4,450 along with 100GB Jio 4G data. There are four colour options available for the interested buyers- Aurora Blue, Magic Night Black, Platinum Gold, and Nebula Purple. The Honor 8C sports a 6.26-inch HD+ notched display along with a 1520 x 720 pixel resolution and 19:9 aspect ratio. It offers a screen-to-body ratio of 80.4 percent. Under the hood, the phone is powered by Qualcomm Snapdragon 632 SoC paired with an Adreno 506 GPU. In terms of memory, there are two options- 4GB RAM + 32GB internal storage and 4GB RAM + 64GB internal storage. The dual-SIM phone runs EMUI 8.2 based on Android 8.1 Oreo operating system out of the box. All of this is backed by a massive 4,000mAh battery that supports 5V/2A (10W) charging. 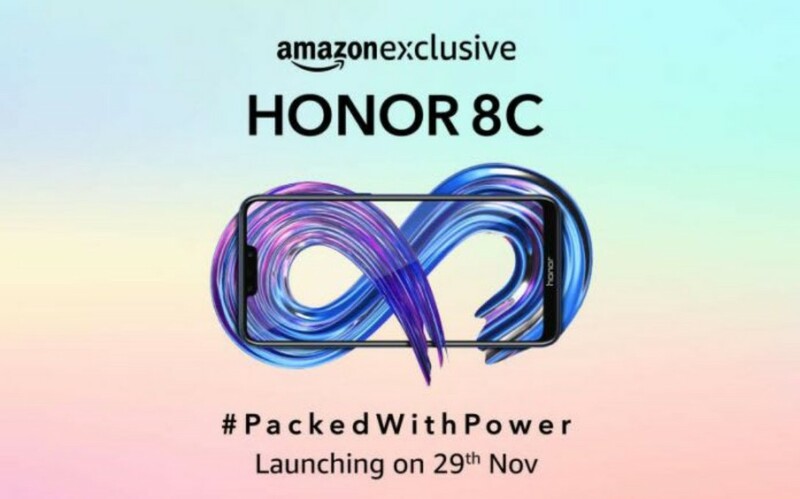 In terms of optics, it is equipped with dual camera set up on the back which comprises of a 13-megapixel primary sensor with an f/1.8 aperture and LED flash + a 2-megapixel secondary sensor along with an f/2.4 aperture. For selfies, there’s an 8-megapixel sensor with an f/2.0 aperture, LED flash and support for AI backed face unlock. In addition, the phone features a rear mounted fingerprint sensor for security purpose. The dimensions of Honor 8C are 158.72 x 75.94 x 7.98 mm (height x width X length), and weight is about 167.2 grams. Connectivity features included in the device are 4G VoLTE, single-band Wi-Fi 802.11 b/g/n, Bluetooth v4.2 LE with aptX, GPS/ A-GPS, GLONASS, BeiDou, a Micro-USB port, and a 3.5mm headphone jack. Onboard sensors include an accelerometer, ambient light sensor, electronic compass, fingerprint sensor, and proximity sensor.